Joining UBT is simple. You do not need to already have a dog, nor do you even need the desire to have a tracking dog. 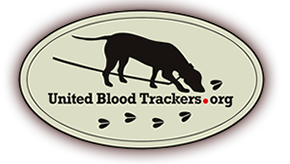 All you need is a desire to stand with us to see that every state makes it possible for trackers to have tracking dogs to recover wounded animals and to promote tracking dogs for the recovery of wounded animals through education. It is a simple process and you can be sure that the small amount of money it costs for membership will be put to good use.